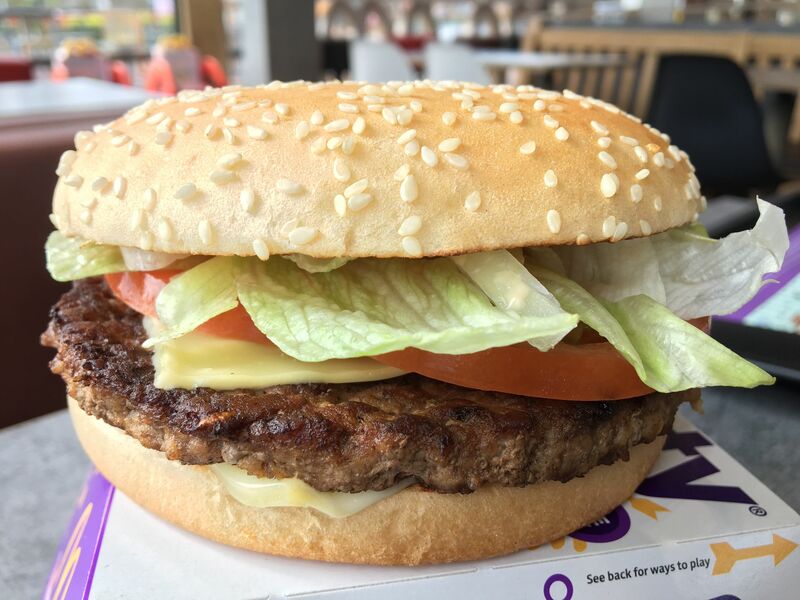 It’s big, it’s tasty and it’s made with 100% British and Irish beef, cheese made with Emmental, tomato, lettuce, onions, and lashings of Big Tasty® sauce. 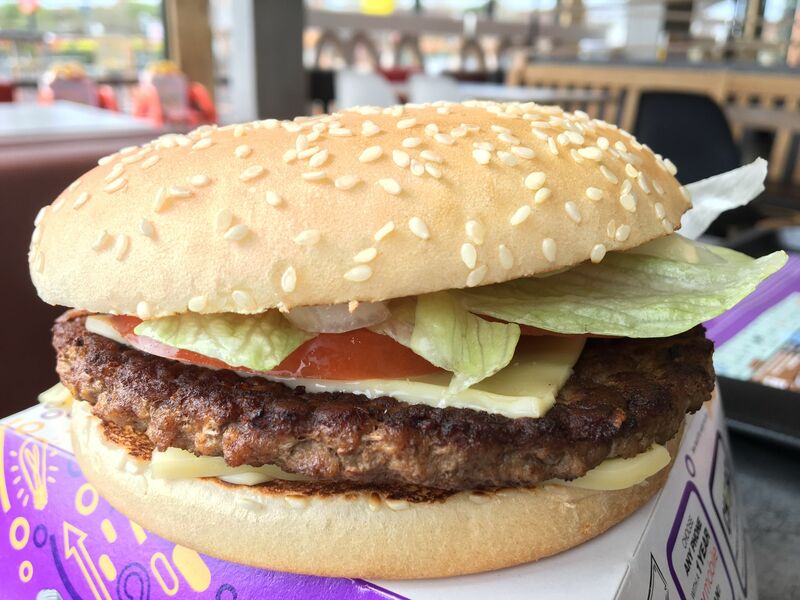 And that can only mean one thing… the return of the Big Tasty. 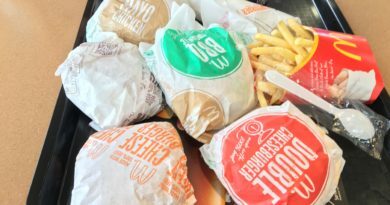 Tom Watson (Labour Party’s shadow secretary for Culture, Media and Sport) wants to get rid of McDonald’s Monopoly, calling it a “grotesque marketing strategy”. 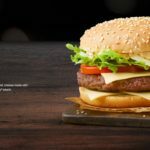 Despite this, for many, the event is the highlight of the fast food calendar – and arguably The Golden Arches busiest time of the year. 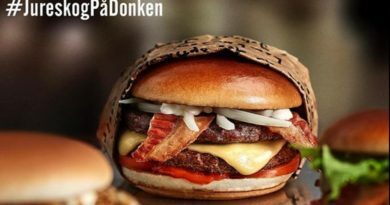 And, as sure as night follows day, this crazy-popular promotion is accompanied by the Big Tasty range; Big Tasty, Big Tasty with Bacon and Chicken Big Tasty. 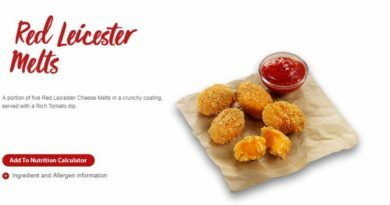 If fries/chips get complaints from KFC fans, it seems some view McDonald’s’ bacon as its “Achilles Heel”. For that reason, and the fact we have already reviewed the Tasty w/ Bacon twice before, I’m having it today without it. I’m going into the experience with an open mind. I’d estimate having maybe five or six ever in my lifetime – so how was it? This is a very big burger. I always forget just how big it appears when the huge box is delivered to your table via the ever commendable table service. Inside, you are greeted with a familiar, fairly formidable foe. Appearance-wise, it really reminds me of a generic kebab shop burger. Looking past that, this looks a tidy build and whoever constructed it should be pleased with their work. Speaking of foes… fresh tomato predominantly protrudes out of the side but (at first) up against the onions and sauce its flavour is masked. The sauce is obviously the main talking point. Smoky and distinct. Some prefer the old version but I think the new recipe is a slight improvement. I quite enjoy it but I don’t think it is a Special Sauce beater. 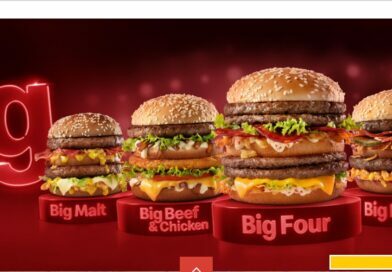 And I can’t agree with some (on Twitter) who were wishing the Grand Big Mac away to be replaced with this. It’s a big satisfying burger. The patty was unfortunately dry but this was masked by the sauce. 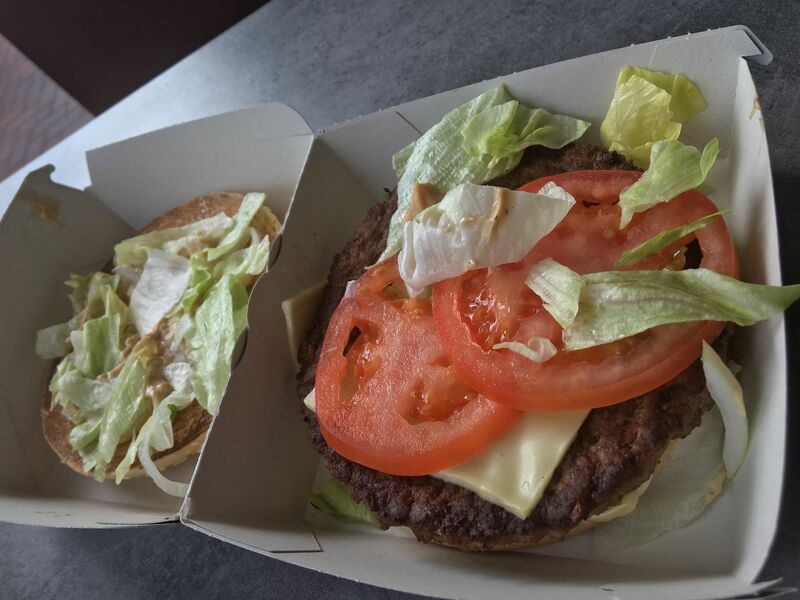 I enjoyed the mixture of ingredients (except the tomato); the big beef patty, the creamy Emmental cheese, fresh, crispy lettuce, sharp onions and that now iconic, smoky sauce. 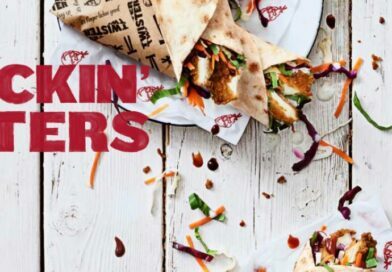 As I stated above, in my mind, I can’t shift the association of the Big Tasty with the appearance and flavours of a burger you would grab in a kebab shop after a late night booze-up. Perhaps this is why it is so popular in some quarters? 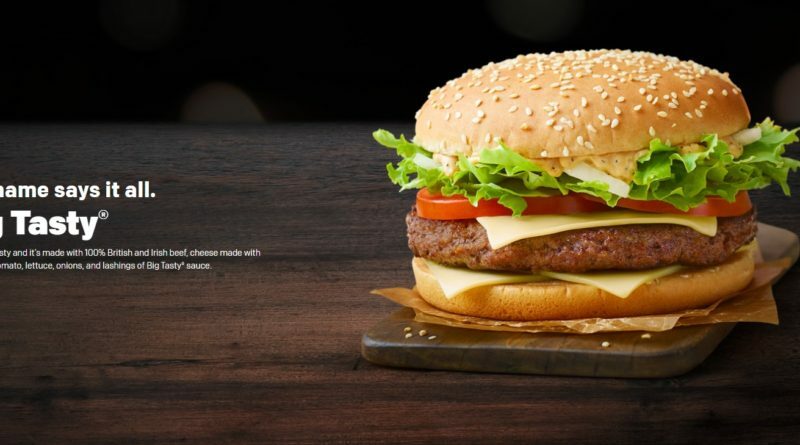 There is no denying, this burger really does divide the McDonald’s fandom. 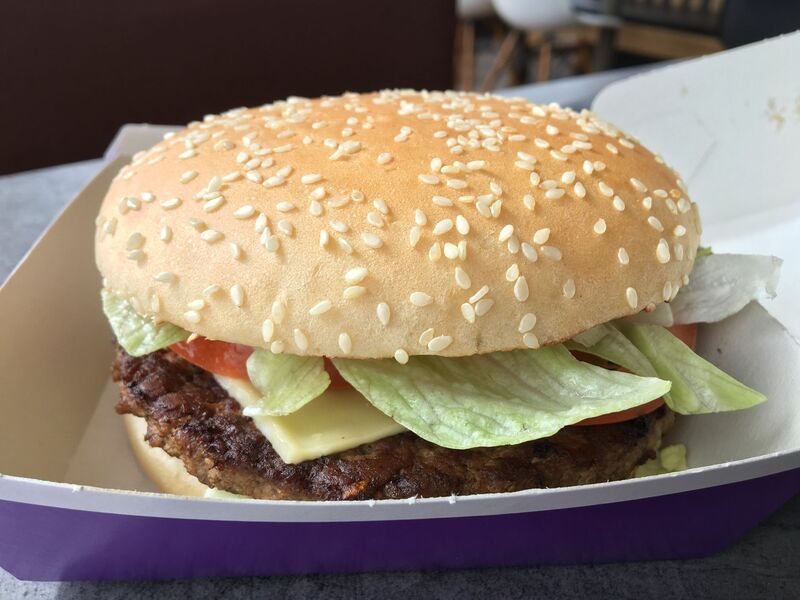 Some love the Big Tasty so much they call for it to be made a permanent fixture on the menu. Others bemoan just how often and how many days a year it is available. 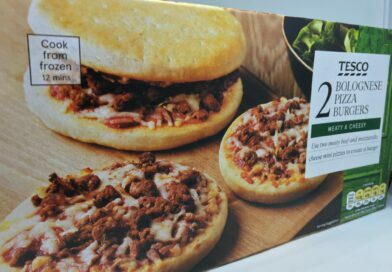 Did you know, in 2018, the Big Tasty was on the McDonald’s UK menu for approximately 220 days? Ah… McDonald’s movie tie-ins – anyone miss those days…!? 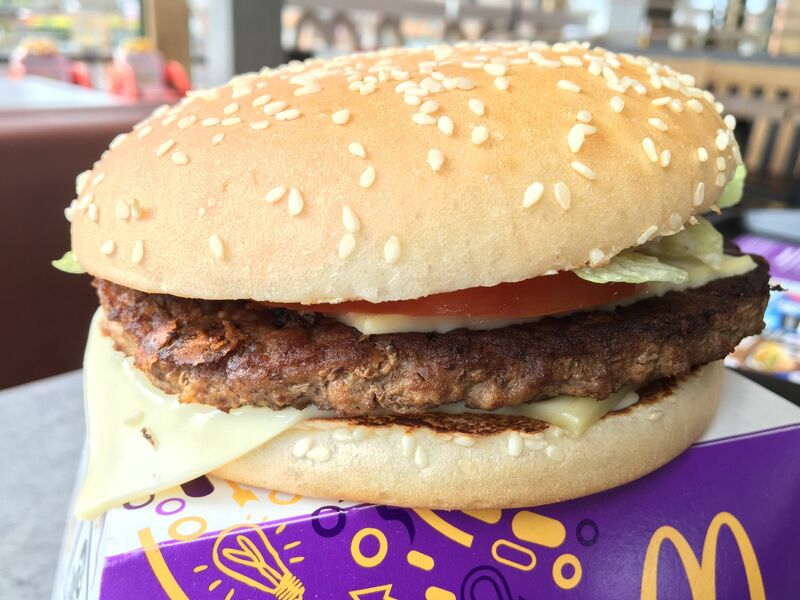 And, for those saying that reviving the Big Tasty again and again is boring or lazy – it must sell extremely well for it to feature on the menu so frequently. If you’re mouthing the Big Tasty you are correct! Demand and sales… that’s why it is available so often! And I bet the crew members prefer an easy/recurring build too. 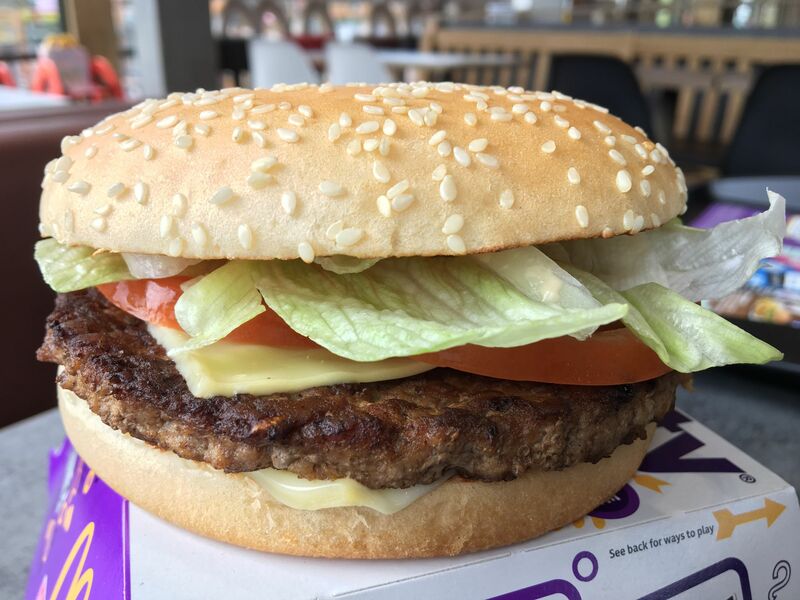 The Big Tasty is a big burger, with big sales and a big following. 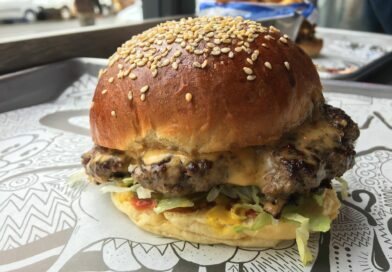 The beef and cheese provide a meaty and creamy combination which is backed up by a classic salad mixture – all brought together under the unifying taste of the divisive Big Tasty sauce. I don’t believe it needs the bacon either. At £4.79 (insert usual expect to pay 30p less caveat) it is one of the costliest (and calorific) burgers on the menu and at my location a Large Meal will set you back £6.49. I quite enjoyed it, but I can assure you it will be my one and only during this current comeback. And I didn’t even call it the Big Nasty once. 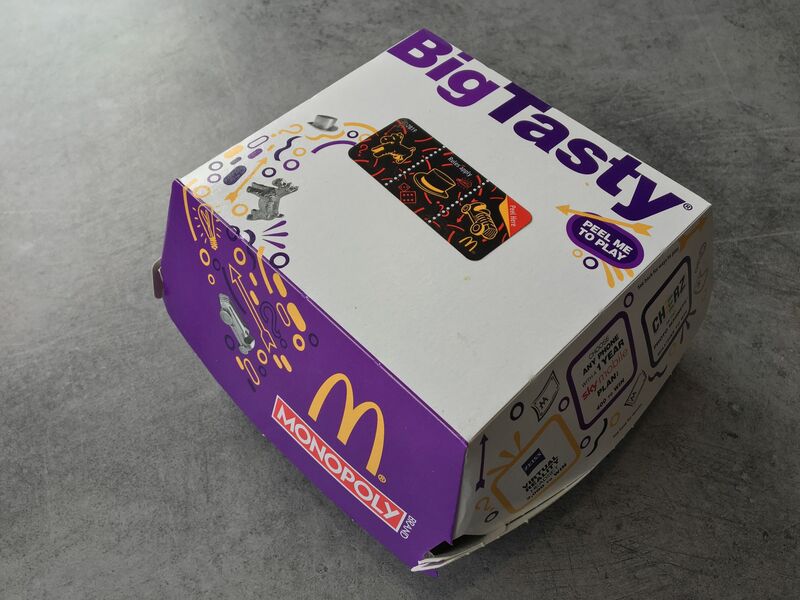 As I recall, when the Big Tasty was first launched in the early 2000s (2003? ), it was a permanent menu item, and remained one until 2005. I wonder if it returned to the menu full time if that would free up space for more interesting specials?